Today we are featuring some of our favorite pool designs which are located in luxury travel destinations and hotels all over the world, Enjoy! 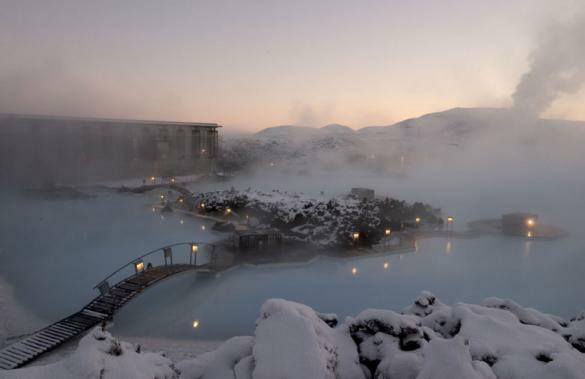 Although technically not a hotel pool, the Blue Lagoon is a superheated body of water surrounded by a resort as well as the natural icy mountains of Iceland. The hot water comes from over 6,000 feet deep below the ground and is used to create electricity for the nearby city of Reykjavik. 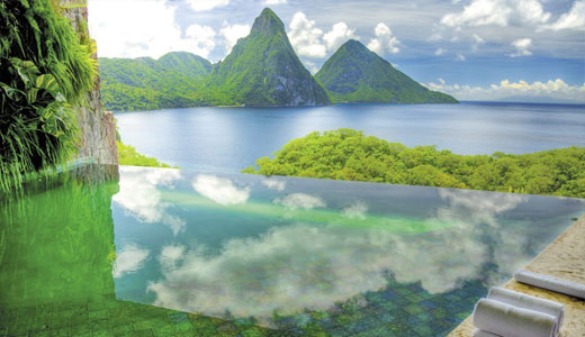 Infinity pools are almost becoming a must for luxury hotels, because who doesn’t love to relax in the pool and enjoy the coastal view simultaneously? 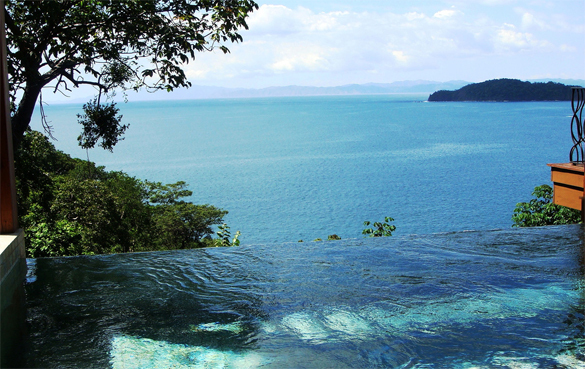 This particular view is specifically located on the beach in Papagayo, close to Hermosa Bay Beach and Panama Beach. 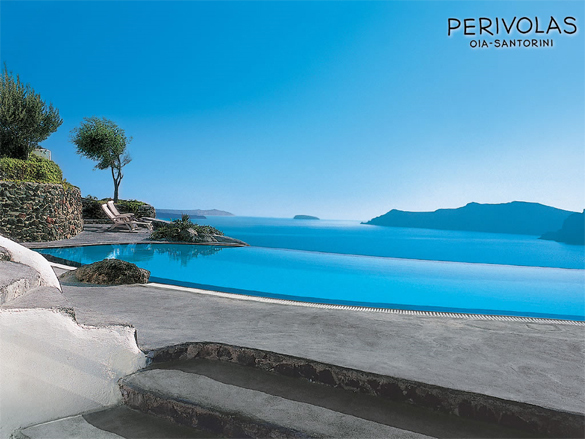 “Poised on the cliff high above the Aegean, this escape is designed as a place where you can let the rest of the world slip away.” If this pool looks familiar, it’s because it’s such a well designed pool that it has been featured in several design magazines and how could you forget that view! 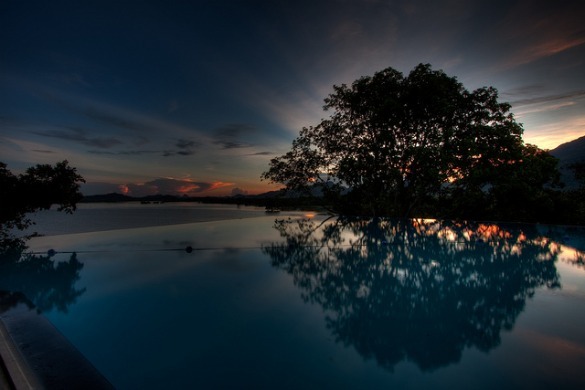 Although located in the jungle of Sri Lanka, the pool still makes the guests feel serene. The Heritance Kandalama states, “A hotel that doesn’t sit on the landscape but is part of it.” They also mention on their website that it’s not uncommon to see monkeys climbing on balcony pillars as though they were tree limbs. Another a room with a personal pool, this retreat and spa located on Fesdu Island will make their guests feeling nothing less than fabulous! 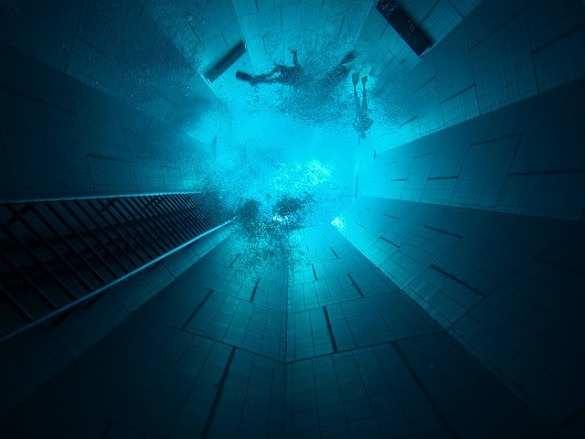 With the deepest indoor swimming pool in the world at 105 feet deep, you can practice your scuba diving or get certified at this solar-heated pool located in Brussels! No need to worry about frightening sea life or ice cold water!